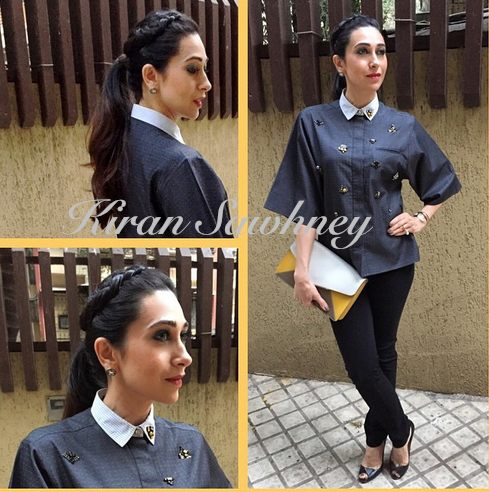 For in and out launch event in Mumbai, Karisma wore a Sanchita top from the designer's SS 2015 collection. She teamed it with black denims and black peep toe Louboutin pumps. She carried and oversized Furla clutch. Braided ponytail finished her look. Oversized clutch and also oversized top. Still she managed to look good. You think so? The style is good. The shirt is pretty but a bit over sized. Still she is looking good. Thank u for the share.